Traveloka Campus Roadshow is Coming to You! As one of the fastest-growing technology companies in Southeast Asia, we aim to build the dream of enriching people’s lives with experiences through technology. 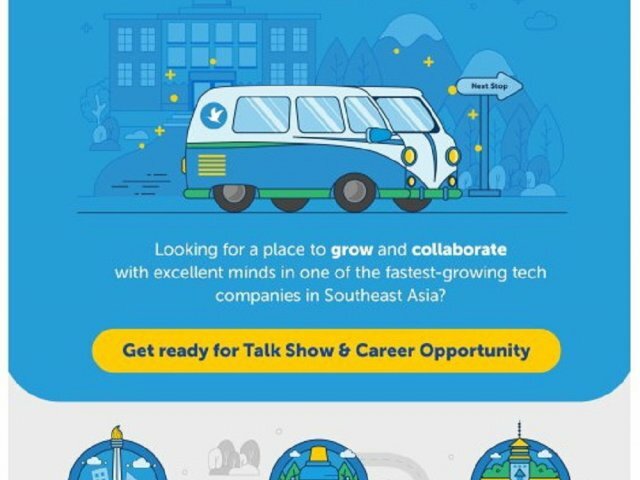 Get a chance to take part in fruitful discussions with Traveloka team and explore career opportunities for Southeast Asia’s best young minds.